Major Lazer’s hotly anticipated Free The Universe has been pushed back before, and it’s getting pushed back again. The sophomore LP from Diplo’s electronic-dancehall side project was initially scheduled for release back in September of 2012. However, circumstances beyond the band’s control forced a rescheduling of the release to February 19. But based on a statement from the group yesterday, it looks like fans are going to have to wait a bit longer still. Our fans are the most important part of what makes Major Lazer what it is. It is with that consideration that “FREE THE UNIVERSE” will not be released this month as previously scheduled. We never want to disappoint our supporters but circumstances out of our control have made us unable to keep the intended date. But it’s not all band news. To keep their listeners satiated in the meantime, Major Lazer will be releasing a trilogy of mixtapes over the duration of the run-up to Free The Universe’s release. 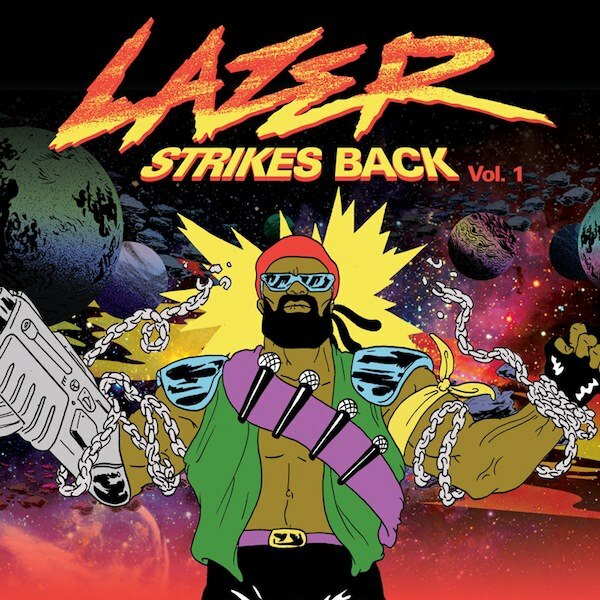 In the same announcement, Major Lazer shared the link for the first volume of the Lazer Strikes Back mixtape series, Lazer Strikes Back, Vol. 1. And yes, Free The Universe will indeed soon see the light of day; the album will be available for pre-order on iTunes on February 26 and will come with a free instant download of “Watch Out for This (Bumaye)”. Download the Lazer Strikes Back, Vol. 1 mixtape after the jump. Download Lazer Strikes Back, Vol. 1 here.